The Yogi Adityanath government organised a low-key anniversary with no big event to showcase the achievements of his government. 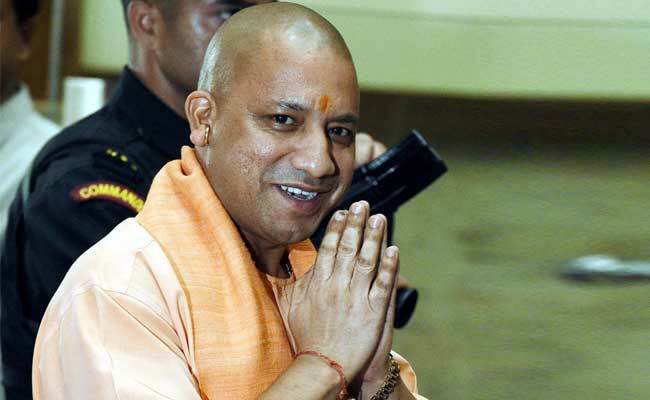 Uttar Pradesh Chief Minister Yogi Adityanath is the head priest of the Gorakhnath temple. Lucknow: Yogi Adityanath today completed 100 days in office as Uttar Pradesh chief minister but it was a low-key anniversary with no big event to showcase the achievements of his government. The BJP government, which assumed office on March 18 after bagging 325 of the 403 Assembly seats along with its allies, faces major challenges, some of the biggest being raising funds for the farm loan-waiver and law and order issues. The finance department is trying to offload the fiscal burden of nearly Rs 36,369 crore as farm loan-waiver, a major poll promise of the BJP. This, coupled with Rs 34,000 crore for the implementation of the seventh pay commission recommendations, has put an additional burden of Rs 70,000 crore on the state's treasury, an official said. There are other challenges too, including arranging funds for projects like the Purvanchal e-way. The government has also admitted it could manage to make just 63 per cent of the state's roads pothole free by the June 15 deadline set by the chief minister. Distribution of free laptops among students, mentioned in the BJP manifesto, is another unfinished promise. The scheme was inaugurated on March 19 but there is no launch date yet. Opposition parties have stepped up their attack. Congress spokesperson Dwijendra Tripathi ridiculed the ruling party for making promises that it could not meet. "Two months of the Adityanath government have not sent out any strong message on any of the issues which were part of BJP's campaign - improved law-and-order situation and better administration," he said. BSP chief Mayawati alleged that people have been facing "atrocities" in the state. Former chief minister and SP leader Akhilesh Yadav recently took on Yogi Adityanath's government and said, "I never knew officers wielded brooms so well. Now the question is how much filth have they cleared so far?" He said the deadline to make state roads pothole-free by June 15 remained a "pipe dream". Asked about the Yogi government's decision to probe the Expressway and river front projects launched during the SP rule, Mr Yadav said, "Will this government do any work... Or will it only conduct probes? This government should try to do better work than us." Refuting criticism on law and order, state cabinet minister Shrikant Sharma said, "A special cell will be constituted in the CM's office for crime-monitoring, which will be done personally by the CM." "SP leaders, who have carried criminals and rapists with them in their cars, should introspect," he added. Since taking office on March 19, the Yogi Adityanath government has recommended CBI probes into several projects of the previous regime led by Akhilesh Yadav.